Dining at the restaurant at Hotel Los Arcos in Banamichi means great food so enjoy yourself Rio Sonora style. Breakfasts feature a variety of dishes, some unique to Los Arcos. 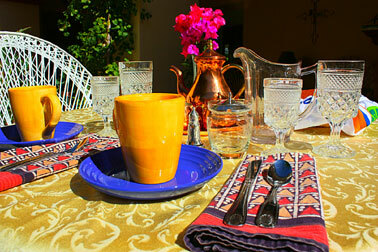 Breakfasts typically include eggs, bacon, frijoles, tortillas or hot cakes and often home baked breads. 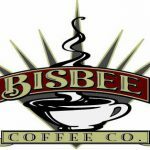 We also serve seasonal fruit, orange juice, tea, and coffee exclusively from The Bisbee Coffee Co. Dinners include all your Sonoran favorites such as flautas, enchiladas soroneses and sea food specialties. Enjoy your meal in our newly remodeled dining room or on the patio. We do our best to accommodate any special dietary requests but please call or e-mail ahead of time so we can be prepared. Meals are an additional charge and not included in the room price. Coffee and tea are always available at no charge. Lunches for larger groups can be arranged. Call or e-mail us for details. The dining room is open Monday through Saturday and everyday for breakfast.